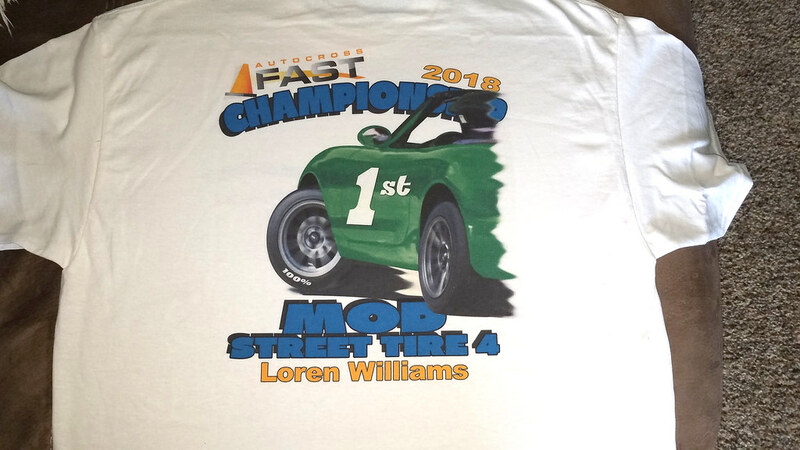 Another FAST autocross season has been completed! All that's left to do is congratulate the winners, conspire for the coming season... and eat some good food! We normally do that with a potluck style picnic, and this year we'll be doing it at Philippe Park in Safety Harbor overlooking Tampa Bay. We'll kick things off around 11am and "officially" wrap up around 2pm. But, we have the shelter rented for the whole day, so you're welcome to stick around and chat as long as you'd like! To ensure that we have enough food, we do need to know how many to expect, and it's also helpful for us all to know what you may be bringing along. For those reasons, we've set up registration for the party. It's FREE! Bring something if you can. No sweat if you can't. We just need to know who's coming. FAST - Mexican stuff, vege tray, drinks, ice, plates and all that. Alright, y'all. Let's do this! The party roster is starting to fill out. Don't forget to register! Trying to figure what goes with Mexican? Tequila is out for sure. That's all. I'll sign up if Joe and Ms Joe bring the roast corn again. I'm kind of a Corny guy. We're up to 26 attendees for the party. Should be double that! Don't forget to register if you're coming. I "registered" a week or 2 ago, but I guess I never completed it. Head count is up to 40. Cool. Well a cornless picnic can still be fun. Ola. The party is THIS SUNDAY! Don't forget to register if you haven't already. We've got almost 50 people signed up already, should be a good time! So I have a good feeling about this weekend. I slow cooked some BBQ tonite so got our roasted corn "fix" along with some chicken and beer brats. Bought a bunch of Icy things for the heat. We're good for Mexican with an ice down finale for the tamale Yall know that the Green Monster guy crashed and burned right? Amen. Green Mamba too. No legs but a flaming 80 year old forever. Ton of smart people coming with rain not until after 5pm. Where is the donut contest at? I have stones. As expected, it was quite hot for our party today, but at least we were all wrapped up well before the rain came! Lots of great food and friends. Sometimes it's great to just sit and hang out for while! Congratulations to all of our class winners, and huge thanks to all of the non-winners who let them win! Thanks for another great season of competition and fun! No kidding. They even brought a fan and the new quiet generator. Breeze arrived about 1:30pm. What a great day. Glad I got up for it early today (for me). The food was so vast I wished I was 25 again with unlimited appetite. I got to meet a couple fun people I never see who are Morning people. Cool. We hung out longer than usual which turned out to be really nice. On the way home I had made arrangements to check out a 36 Chevy in Palm Harbor owned by a guy older than me even. What an awesome beautiful all steel V8 Cruiser but it would explode if I had it - almost instantly I'm sure. Original 6cyl frame with a 327 vette V8. I'll stick with what I know once again. The folks bench racing were really into it and hearing the stacking of next year's decks was note worthy. Some will fail, some will do okay, and some might actually win? Or cry trying. Again, thanks to Loren, Steve and the dozen hard working elves who all do very well in their classes while keeping the FAST ship afloat. I'm the Mayor of Dougopolous so it's a Proclamation. THANKS. Gotta say, I've never seen a 36 Chevy autocross. Do it, Doug! I actually posted here yesterday, but maybe in my food-bloated and heat-soaked haze I never hit "submit." It sure was a good time at the picnic - the people, the food, the awards - thanks all! By the way, if you were wondering about the shirt art... it was designed by me. The car is actually a conglomeration of several photos. The car body itself is Jamie's. And that's his head in the helmet. I smoothed the contours and color-shifted it, but that's him. I lifted the extreme steering angle from a photo of Philip. Because Philip. And that gave me mismatched wheels, so I lifted the wheels from Andrew's car! The "easter egg" that appears on 3 shirts is the 100% tag for me, Philip and Drew. It's done as "raised white letters" on the front tire. Design is great. I'm glad I got one this season to be able to wear it Now I just have to work hard on keeping a white shirt clean from food missing my mouth. Loren wrote: By the way, if you were wondering about the shirt art... it was designed by me. Aw, hell...now I'm really sorry I placed too far back this year! I plan on carrying a bib with me whenever I wear the shirt out just in case.